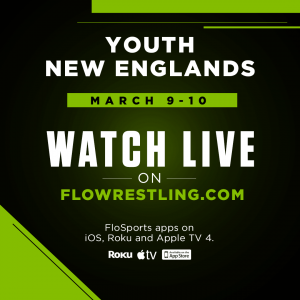 The 2019 Youth New England Wrestling Championships will be held on March 9-10, 2019 at Sullivan Arena on the campus of Saint Anselm College. The 13th annual Youth New England Wrestling Championship Tournament will be held on March 9-10, 2019 at Sullivan Arena on the campus of Saint Anselm College in Manchester NH. This tournament is without a doubt the most competitive youth wrestling tournament in New England. If you’re looking for the toughest competition in New England, you’ve come to the right place. For tournament details, please refer to the informational flier. To register for the 2019 Youth New Englands, click here. Over the course of the last 20 years, Kapwrestling has been elevating the level of hundreds of wrestling tournaments. We at Kapwrestling during some part of our lives have been in the shoes of wrestlers, coaches, and family at wrestling events, and we know how long and confusing the days can get. Kapwrestling prides itself in looking after every detail of a wrestling tournament to make the experience as exciting as the sport itself. We pride ourselves in making every event a premier event. For more than a decade, Kapwrestling’s online experience pioneered the paperless tournament experience. Since 2010, we have run more than 350 paperless events in Massachusetts, Ohio, Connecticut, Maine, New Hampshire, Maryland, New Jersey, New York, Virginia, Tennessee, Alabama, and Utah. In 2016, Kapwrestling has partnered with FloWrestling to continue the evolution of the paperless tournament experience and working together to develop FloArena. The operation of the tournament as a result of the new FloArena software is unprecedented and offers new flexibility for tournament operation. We look forward to bringing this new experience to the next YNEW event. Interested in hosting the tournament in the future? We are actively looking for future host sites for the tournament. If your program is interested, please review the host responsibilities document – attached below – and contact mikestuer(at)gmail.com with any questions.